This is a good question and has nothing to do with entitlements.. It is certainly worth thinking about and raising with your member of parliament because if you have served in the New Zealand Defence Force you are not necessarily a VETERAN. In fact you can be in receipt of an Operational Service Medal and still not be a veteran. Confusing to say the least. It would seem that in Canada, Australia, UK and the USA determining who is a veteran is simple – “You served, You are a veteran”. But not so in Godzone nothing is so simple. Let us look now at OPERATIONAL SERVICE as defined on the NZDF Medals website. Operational service is service which exceeds the normal requirements of peacetime service, and which involves a credible military threat from enemy military forces, insurgents, or other hostile forces. If the service involves no threat, or is determined as having only a very low threat level, a campaign or operational service medal will not be instituted or awarded. The New Zealand Defence Force defines three categories of operational service: warlike, hazardous, and non-warlike. Warlike – In a state of declared war, or with conventional combat operations against an armed adversary, or peace enforcement between belligerents who have NOT consented to any intervention. For example, Vietnam and the 1990-1991 Gulf War. Hazardous – Peace enforcement between belligerents who HAVE consented to intervention or requested assistance, or missions where casualties may be expected. For example, service in Bougainville since 1997. Non-warlike – Military activities in which casualties are not expected, including peacekeeping or sanctions-enforcing missions in benign situations, disaster relief in locations where there are belligerents or other hostile groups, observer activities and other hazardous activities. For example, mine clearance operations in Mozambique and Cambodia from 1994. Accordingly if you served in the New Zealand Defence Force and did not serve in one of the three categories above then you are not a veteran. It appears that successive Governments, NZDF and Veterans Affairs link the identification of a veteran and their entitlement to veteran support to medallic recognition rather than an ex service persons health or personal needs resulting from their service. This glaring anomaly is not within the scope of the current Veterans Act Review. United Kingdom – Who is a veteran? A veteran is anyone who has served in HM Armed Forces, regular or reserve including National Servicemen. Veterans status also applies to former Polish forces under British command in WWII and Merchant Mariners who have seen duty in military operations. Veterans can be any age from 18 to 100 plus. Veterans need not have served overseas or in conflict. All are entitled to our services. Canada – Any former member of the Canadian Armed Forces who successfully underwent basic training and is honourably released. When people think of Veterans, many immediately picture someone who served in the First World War, Second World War or the Korean War. While many Canadians recognize these traditional Veterans, the same may not always be true for Canadian Armed Forces (CAF) Veterans—those who served Canada since the Korean War. United States of America – You are a veteran if you have engaged in active duty (including basic training) in the U.S. Armed Forces (Army, Navy, Air Force, Marines, or Coast Guard), or are a National Guard or Reserve enlistee who was called to active duty for other than state or training purposes, or were a cadet or midshipman at one of the service academies, and were released under a condition other than dishonorable. the women’s branch of the naval, military or air forces of a country (other than Australia) that is, or was at the time of service, part of the British Commonwealth. who has rendered continuous full-time service as such a member during a period of hostilities. I flick this on to my cousin who just happens to be a MP! There are some notable exceptions to the above. 1. Those who participated in Operation Grapple and Mururoa only got the NZ Special Services Medal but are classed as Veterans. 2. Those who served in Operation Armilla were awarded the NZOSM and NZGSM (Non-Warlike) and were initially classed as Veterans. However, since September 2016, CDF (Army) decreed that they no longer qualify as Veterans. The Certificate of Appreciation originally stated that those who held the NZOSM qualified for the Veterans Badge and the certificate. The web page has since been amended and the Armilla Patrol participants have been exluded. Personally I think that the whole thing is atrocious. Things like peace keeping and EOD service still have a risk of loss of life or serious injury and if one was not in the services the chances are that they would not voluntarily place themselves in a situation where that was the case. They have undergone the training that gives them the qualities to go or be sent into those situations and in my opinion should be classified as veterans. Thanks for clearing up the difference as to who is and who isn’t a veteran; hearing US tv going on about veterans was just too confusing. Another irritating aspect is that the NZDF/NZ Govt interpretation presupposes that those who “put their lives in danger”, do so in isolation from any homebased support. I never worked in the posting office but seem to recall something like five shorebased personnel were required to sustain one seagoing staff. The figures may well be different now, but without shore or NZ based support, operations overseas, whether land or sea or air , cannot be carried out. I am not saying that then entitles a wider medallic recognition (like the USA for example) but tying that recognition to the definition of Veteran just confuses the whole issue. When you join the services you voluntarily sign a document that basically says ” I will put myself between you and a bullet if you require it “, no matter what branch or service you are in. You should be classed as a veteran. Whether you are in a hostile environment, or not, depends on decisions made by others. ULTIMATELY, YOU ARE AT THEIR DISPOSAL. 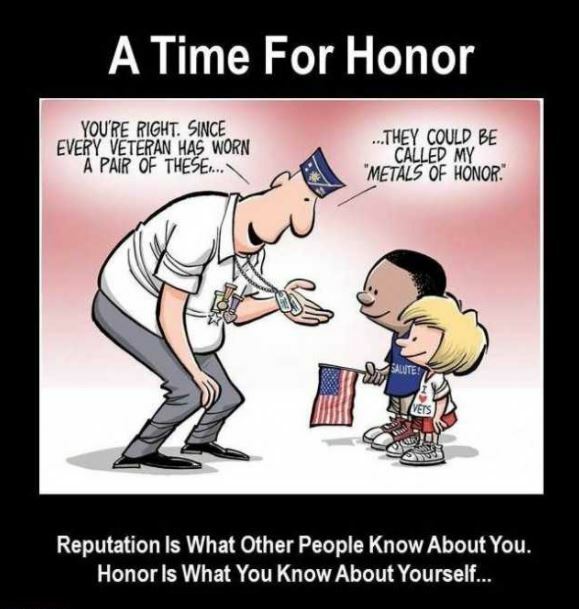 If you want to give medals or be recognized for particular campaigns etc that is different. Hi. Who is a Veteran and Review of the Veterans support Act. entitling him to a Veteran’s Pension under section 70 of the War Pensions Act. “heightened level of physical, psychological or environmental risk”, as the Secretary for War Pensions had required for service to be “in” a declared emergency. 9.24 As a consequence of the Hikaka decision, there was a reinterpretation of what actual service is sufficient for qualifying service in the Malayan Emergency, Thai/Malay Border, and the Indonesian Confrontation. The Secretary for War Pensions issued a directive stating that all Royal New Zealand Navy personnel stationed with the British Commonwealth Far East Strategic Reserve are to be deemed to have emergency service for the purposes of the War Pensions Act. 406 Hikaka v Social Security Appeal Authority (18 June 2007) HC WN CIV 2007 / 485 / 330. I served my country for six and a half years and it was not my fault there was no war or anything else going on so why should I not be classed as a veteran because of my service. My son who only served for not even 3 years is classed as a veteran because he went to Afghanistan. I am not wanting a war pension or anything like that, I just don’t want to be continually unrecognised for being ready, willing and able to go if called upon. I served in the RNZN from 1968-1988. I was offered the choice of a war pension or ACC for hearing loss caused by gunfire. I was a Weapon Mechanic and was part of the weapons crew as well as maintaining the various weapons systems at the time. In 1979 I transferred to the Regulating branch. In 1987 I was the MAA on HMNZS Canterbury. We were in Cairns (memorable for a few things ) when the ship was ordered to sail for Fiji to provide support during the coup,. Southland was not sent, we had the 4.5 guns. It was given the name “‘Operation ? '”, can’t recall the name. On the way the ships company were given weapons refresher training, live ammunition. The WSC, Frank Lind and myself were required to provide the number of people we could evacuate and provide for should the need arise. After a couple of weeks we were able to return to our original schedule. The point of my comments are, I was offered a war pension, but never went to war, and our ship , Canterbury was sent to Fiji called an operation. I am entitled to assistance from veterans affairs because I served before 1974. Veterans affairs are excellent with the support provided. I have a supergold card, but can’t have the veterans V on it because I had to have had operational service. Kerry Boy, you old weapon mechanic you, how’s life at the top. Flick me a email to jim.jay@xtra.co.nz if you feel inclined. Kerry Boy, you old weapon mechanic you, how’s life at the top? Flick me an email to jim.jay@xtra.co.nz if you feel inclined to. Having served for 5 years, 71 to 76 and sailed on a number of trips to the Far East my feeling are the same. I joined in 1971, there was a war on, Vietnam, there was every chance that I could have ended up in a war zone yet we are just seen as peace time service men and women and therefore not to be recognised. My father served in the Army for 25 years, never went on an “operation” and therefore was never recognised as a Veteran, his working life in the service of his country, he of course like the rest of us was shunned by the RSA as well! The things we were exposed to during our trading and our service were and still are outside of what a normal civi would be exposed to. I still remember the procedure for armed suppression of civilians etc.. I feel that the things we were physically exposed to should be recognised, noise, asbestos, solvents, dust, radiation, should be recognised and we all should be on the veterans pension within any assistance that that brings. An interesting discussion. I served in the RNZN for eight years. Of which some time was spent on Stawell and Lachlan. On Lachlan one rating died in an engine room accident in PangoPango. His remains have only recently been repatriated. At Christmas Island (yes that one) one rating was injured in a boat accident while recovering the motor boat. We were miles from civilisation, lucky he wasn’t severely injured. At Irirangi two of my branch mates died in the Wrennery Fire and one rating took his own life. Those who served at Irirangi would remember the dilapidated temporary WW2 buildings that were not a scratch on the accommodation at Rangipo prison just up the road from Waiouru. I left the Navy and worked for the remainder of my working life at the dockyard and NRL/DSE/DOTSE. Many trips to sea on Tui and Endeavour. In all I “served” the NZDEF for 45 years. In my period of RNZN service there was no way “out” until your time was up. You had little choice in your life, served where you were told to and in the conditions that even for that day were often quite primitive. Am I a veteran? I believe so. When I was in, trying to get out, there was a scheme of discharge by purchase. I had gained my commercial pilots licence whilst in the navy, and actually had two Aerial Agriculture Companies write to Navy Board requesting my early release, there was a shortage of Agricultural pilots at this time. However, it was the senior member of each branch who applied for early discharge who would be given the nod, dictated by “the exigency” of the service. This happened every 4? months. the sparker in the comms branch who got out before me went out to be a Morticians assistant. I did get out in the next draft, at the cost of 2 hundred pounds and forfeiting all my “savings” held in trust by pussers. I gave Philomel the “fingers”at the main gate on 19 April 1962. The first thing to note , if your not already aware, is there is no naval representation on the veterans’ affairs panel. If you served I believe you should be considered a veteran, there would be a need to be time served value put in place to determine a veteran, I don’t think being booted out, sorry service no longer required, after a month or two would quite cut it. However being considered a veteran doesn’t mean you qualify for a verterns’ pension, to receive the vet’s pension you generally would need to have applied and had accepted disabilities of 70% for those before 1 April 1974, or 52 to 54% for those applying after that date, a popular disability might be hearing loss or perhaps tinea and would need to be attributed to your service, well kept medical records by SBA personnel helps in the determination. The veterans’ pension is in money terms the same amount as New Zealand Superannuation but has further benefits attached to receiving it.